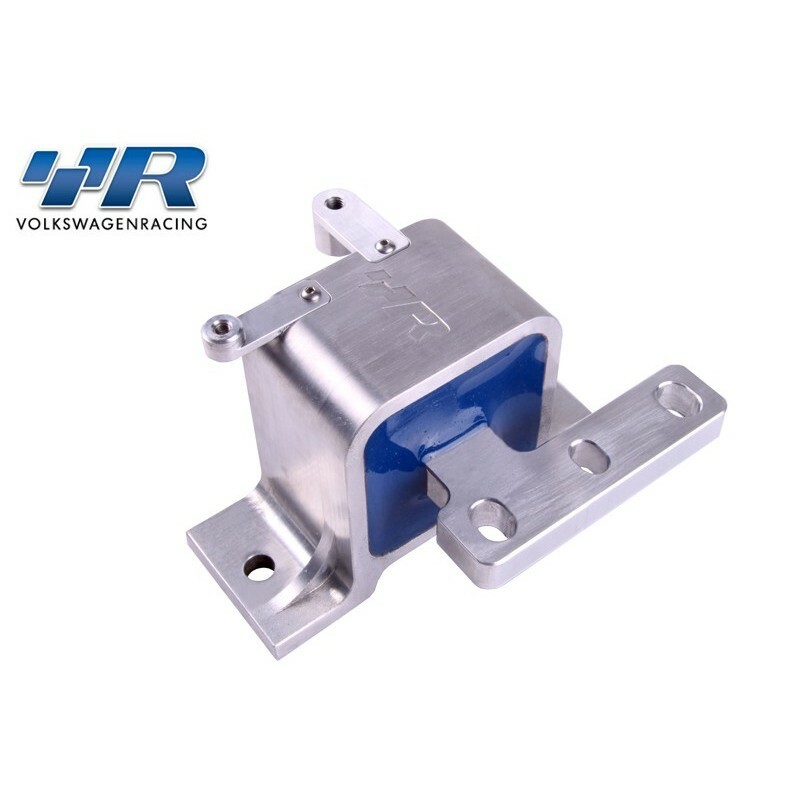 To harness your power increases, and transfer that power to the road or track where you need it, Racingline Performance Engine Mounts will give a much more solid drive, and crucially give additional durability. WHAT DO THE ENGINE MOUNTS DO? The whole engine and gearbox is located in only three places. One at engine-side plus another at the end of the gearbox which support the weight of the whole drivetrain, plus a third torque arm underneath the engine to contain the fore-aft movement (often called the pendulum or dog-bone mount). The standard car uses very compliant rubber in these mounts to give a soft take-up of power and isolate the cabin from drivetrain noise. For a daily driven standard car, these bushings do a good job of keeping cabin vibration to a minimum. But when you ask more of these mounts, with higher power or hard driving, the flex in the bushes becomes very noticeable. This gives a slightly loose feeling to the drivetrain and an increased chance of wheel-hop under hard acceleration as the whole engine and box assembly judders. If your car produces high power, or has covered quite a few road miles, or is driven hard, the softness of these three standard rubber mounts allows more and more movement as you come on and off the power. With worn mounts, we have even seen failures of the exhaust manifold and driveshafts as the whole drivetrain shifts around under load. WHAT DIFFERENCE DO THE Racingline Performance MOUNTS MAKE? The Racingline Performance engine mounts stiffen the whole location of the drivetrain greatly to give a much crisper feeling to your car. This means no more jerky behaviour on and off the throttle or when you change gear, and all-but eliminates wheel hop off the line. Of course, a bit more noise from the drivetrain comes into the cabin, but most keen drivers love the sense that they are more connected to their car. For most road cars, wed recommend the lower engine mount on its own, leaving the two upper mounts standard. This makes a huge difference to how the car drives, and is a pretty minimal difference to the cabin refinement. The lower engine mount on its own is one of our most popular upgrades for Golfs and Sciroccos.